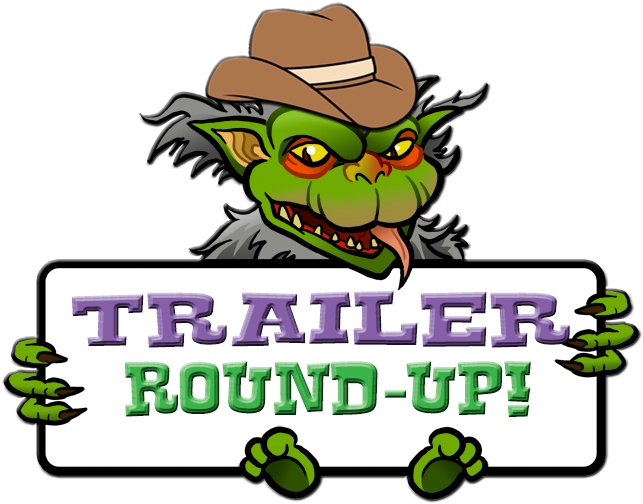 THE B-MOVIE NEWS VAULT: Trailer Round-Up: CLOWN, MONSTERLAND, MONSTER TRUCKS, THE SHALLOWS, THE WOODS, & YOGA HOSERS. 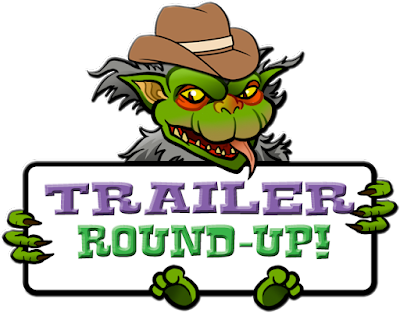 Trailer Round-Up: CLOWN, MONSTERLAND, MONSTER TRUCKS, THE SHALLOWS, THE WOODS, & YOGA HOSERS. Yeesh! 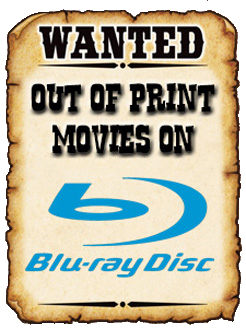 It's been a while since I posted some movie trailers at the News Vault! To make up for it, here are six trailers for upcoming genre films that I'm (mostly) excited for! Killer clowns, fearsome Great White sharks, Bratwurst Nazis, and a monster apocalypse await you in this newest collection of cinematic previews! Enjoy! Originally conceived as a fake trailer, CLOWN has become a legit feature-length horror film that is destined to become a cult classic. Produced by Eli Roth, this film follows a well-meaning dad who dons a clown costume to save his child's birthday party. But in a horrifying twist, the costume begins to become part of his body, as an evil presence begins to possess and transform him into a terrifying clown-monster! Peep out the trailer below and look for CLOWN on VOD (and in select theaters) on June 17th! The Monster Apocalypse is upon us, and humanity is now on the bottom of the food chain. One survivor takes refuge inside a movie theater to buy himself a few more moments of precious life, while a motley assortment of creatures feasts upon mankind! This actually looks pretty crazy and fun (enormous jellyfish monsters!!!) and comes out on DVD..... yesterday! That's right, MONSTERLAND is now available on DVD and VOD! Watch the trailer below, then give this flick a look if you are feeling enticed! I never thought I'd be interested in seeing a movie like this. It sounds batshit crazy on paper: Friendly alien creatures crash-land on Earth, and befriend some truck-loving teens. Said aliens climb inside a trio of trucks, allowing the heroic teens to drive the alien-powered vehicles away from pursuing government agents. As dumb as it sounds, MONSTER TRUCKS seems kind of fun and even... endearing? If anything, this looks better than it has any right to be, and may actually find an audience despite ROGUE ONE hitting theaters a month before it. Take a look for yourself, then get excited(?) for MONSTER TRUCKS' premiere on January 13th, 2017! Blake Lively stars as a surfer that is trapped in a shallow bay by a hungry Great White Shark. Injured, alone, and stranded on a tiny piece of land, she'll have to figure a way out of her ordeal before the tide comes in and makes her easy pickings for the predatory fish. It's been a long time since there has been a quality killer shark flick at the multiplex, so I am quite excited to see this flick! Could this be the scariest shark flick since JAWS?! I guess we'll all find out on June 29th! A group of hikers are assaulted by an unseen force in Adam Wingard's THE WOODS. The trailer is mostly quiet hype for the film, which appears to be a found footage flick. While I'm not a big fan of that sub-genre, I will give this film a chance because I have enjoyed Wingard's other efforts (e.g. YOU'RE NEXT, THE GUEST) up to this point. Here's hoping that it's not just a found footage film with killer trees! THE WOODS is set to have a limited theatrical release on September 16th! Kevin Smith's latest is one of the most bizarre things I've ever laid eyes on. YOGA HOSERS follows two high school sophomores who love texting and yoga. The two Colleens team up with a Nazi-hunting Johnny Depp to battle "Bratzis:" Miniature Nazi Bratwurst Hitlers! I... really don't know how I feel about this movie yet. It's so weird! It could work, but then again, this could be a completely awful idea for a movie! Only those of us who are brave enough to experience Kevin Smith's cinematic oddity on July 29th, will ever truly know for sure! That's it for now, but stay tuned for more movie news, trailers, posters, and more Vault Dwellers!